Sports and Grad School DO Mix! The typical refrain of the graduate student, right? Perhaps you’ve heard this once or twice before, during that little thing called undergrad. Exam periods spring to mind. The difference in grad school is that it’s not just an anonymous professor assigning work. It’s your supervisor. Your supervisor is not just a regular professor. Sure, they do some lecturing and act all professory, but you get to sit down and meet with them and get to know them as people. Ignorning a professor? Possible. Ignoring your supervisor, with whom you have a relationship? Not so much. When they mention a paper that might be helpful, it’s time to do some reading! And you can’t get away with just a casual glance either. A quick skim will get you a good mark on a multiple choice test, but won’t get the job done when you’re trying to understand the esoteric details that make an academic paper worthwhile. So is this what a supervisor is? A person to assign work, with you a mere gopher to complete tasks? Luckily, that’s not the case. A good relationship with your supervisor is the way out of this dilemma. If the respect runs both ways, then you can make time for whatever you need. A doctor’s appointment during the day? No big. A commitment keeping you out of the lab next Friday? No problem. Put in a few hours when you have the chance, and it’ll all work out. 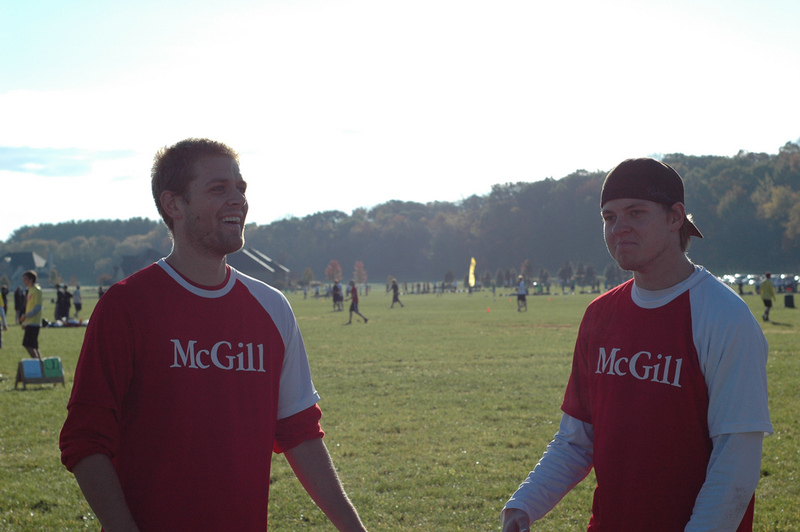 This give and take has allowed me to compete as a varsity athlete for the last two years on the McGill Ultimate team . (Ahhh, that’s what the title refers to. Problem solved.) As the fall rolls in, I’m taking part in my third season on the team. See how happy I am? Busy? Sure, but free time? I have enough.